Salam & hello everyone! Happy Xmas to my christian readers, hope you have a warm Christmas with all the ones you love! 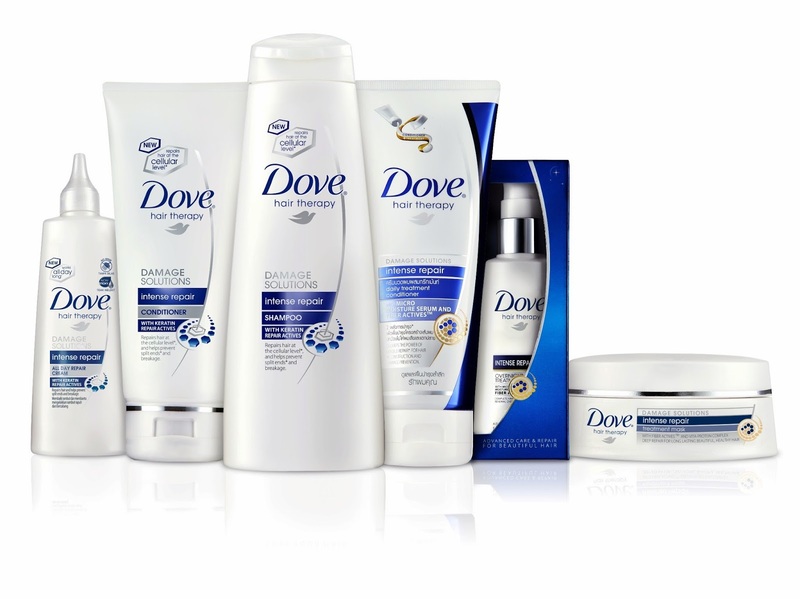 Well, last week I attend an even featuring Dove Intense Repair Hair Care Range. I guess you guys already know about it since the advert is always played on tv. "Umur lapan tahun, mak saya dah fed-up dengan semua knots, dia potong rambut saya pendek! Saya menangis..." . I actually love her Malay accent! So cute! Is she Sarimah Ibrahim siblings? Because they look alike! The event were held at The Botanical, Bangsar Village II. I never been to this restaurant and they said it doe not have meat and chicken recipes in it. Pretty much like a 50:50 vegan restaurant. Event starts with a drink refreshment and a fun activity. We had this mini photo session by a professional photographer where our picture were printed on the same day and the picture can be attach on the calendar given by the, Pretty sweet! But I was quite shy shy on that day to pose around. hehe. We also make ourselves like home by decorating our pictures to be pasted in the calendar. Joyce and Audrey were there too! Looking cute like always! After that, John Goh the Research & Development Deploy Manager of Unilever Malaysia gave us some short explanation and briefing about the common issues of hair face by us everyday. Lots of tips and facts we learn throughout that session. He also said that, "We all like experimenting with hair, but in the long run, damage takes its toll within the structure causing gaps due to serve damage of keratin. The new and improved Dove Intense Repair range with Keratin Repair Actives works at the cellular level of the hair structure and helps reconstruct damaged protein making hair strong and resilient to damage". Featuring the new Microsheets Technology that coats hair for visible smoothness and shine. These Microsheets acts to help detangled hair so it make combing hair much more easier. It helps us modern women that is always on the go and love to style our hair prevented from damage. Same as me as a hijab girl who actually tie my hair everyday. My hair get stress out and weak, this range might help. We also get to witness the demonstration we saw in the ads on tv. They do really work! I don't have the picture tho, but yes, after applying the Dove Intense Repair conditioner, hair becomes smooth and easy to be comb unlike the other one that is only be wash with ordinary shampoo. You can see the ads in the video below. Along with that of course we were treat with a very very warm dinner! Its my first time 5 course meal, and it is amazing. My appetizer and starter actually make me full already. 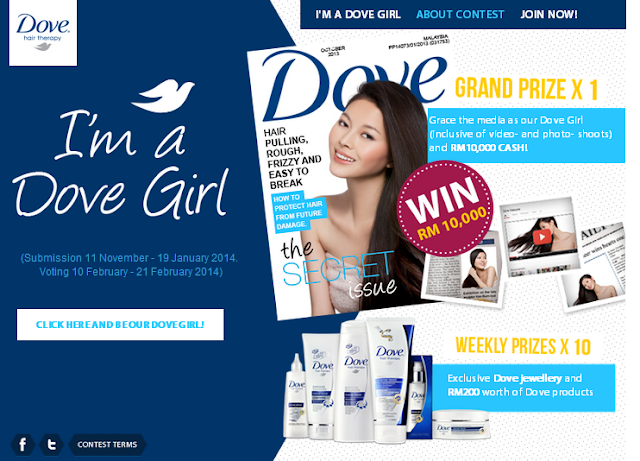 It is delicious and thank ypu so much Dove team for this event along with the awesome goodies bag. I love my tumbler! I wanna bring it to work next year, yeay! Also I got to bring back a full year calendar with ma face on it! Maybe I should give this to my Mr T so he can stare at me every new month. Hehe. Just Kidding! What a nice event! Wah~ would love to get a calendar like that! Nice gesture, isn't it? the prince range isn't that bad. maybe I should get this when I'm finished with my current hair products. Anyway, you're so lucky to be able attend an event like this, girl! The foods look nice, too!